In this GDC 2006 session, a panel from the development team who created 2001’s Ico deliver a postmortem on the making of Shadow of The Colossus. Lead programmer Hajime Sugiyama guides the panel discussion with the lead game designer Junichi Hosono, and animators Masanobu Tanaka and Atsuko Fukuyama. The session begins by outlining the teams philosophical approach to developing epic experiences, and expands to describe the overall development environment, with each panelist describing how that environment impacted his discipline. 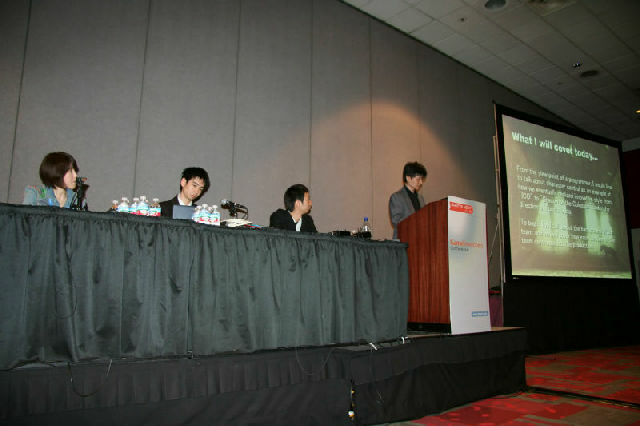 The panel then focuses on the character control technique, which enabled the programming of emotion in the game, and will also address the collision system they developed to bring their vision to life. Listen to the translated audio recording from the GDC Vault below, with an accompanying gallery of slides from the talk, archived with the Japanese write-up here. wanna remark on few general things, The website taste is wonderful, the articles is in reality great : D.